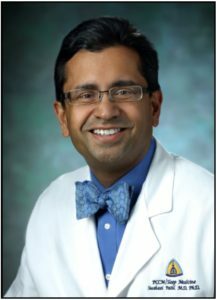 Susheel P. Patil, MD, PhD is an Assistant Professor of Medicine and Clinical Director of the Johns Hopkins Sleep Medicine Program. Dr. Patil came to Johns Hopkins for fellowship training in Pulmonary and Critical Care Medicine, during which he also completed training in Sleep Medicine. Dr. Patil also received a PhD in Clinical Investigation at the Johns Hopkins Bloomberg School of Public Health. 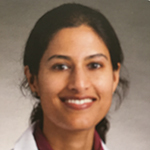 Dr. Patil has been active in numerous committees and leadership roles in the Sleep and Respiratory Neurobiology Assembly of the American Thoracic Society and the American Academy of Sleep Medicine, and the American College of Chest Physicians. He has organized or spoke in numerous scientific symposia at the international meetings related to sleep medicine. He is the author of more than 30 publications, and has given invited lectures throughout the US. He is the Associate Director of the ACGME Sleep Fellowship at Johns Hopkins. 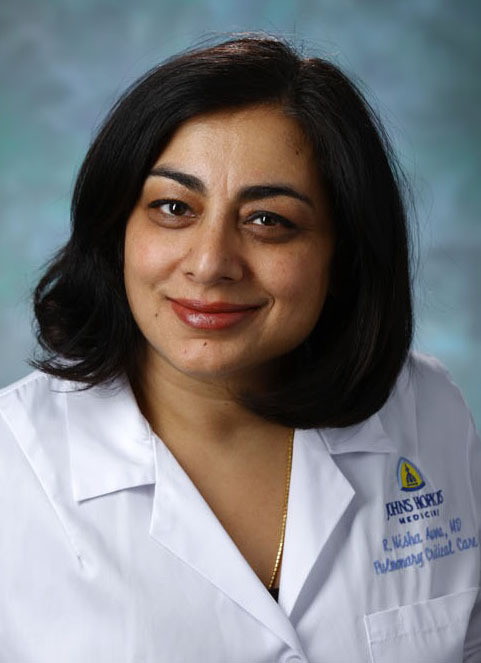 Dr. Patil is also active in sleep medicine related public policy at the state level as Chair of the Polysomnography Practice Committee of the Maryland Board of Physcians and is a Board Member for the Maryland Sleep Society. Dr. Patil is married and his wife is trained in classical and popular Indian dance. They have 2 young sons. Dr. Patil enjoys cycling when time allows and participating in long distance rides. Dr. Brown is faculty in the University of Maryland Sleep Fellowship Program and a Clinical Assistant Professor at the University of Maryland. He serves as the Director of Clinical Informatics at the VA Maryland Healthcare System, and provides care to veterans with sleep problems. Dr. Brown is a graduate of New York Medical College and completed his Internal Medicine residency and Pulmonary-Critical Care fellowship at the National Naval Medical Center. He served as a medical officer in the U.S. Navy for over 13 years. He is board-certified in Internal Medicine, Pulmonary Medicine, Critical Care Medicine, and Sleep Medicine. He served as Faculty in Sleep Medicine at the University of South Florida, prior to joining the University of Maryland. Dr. Brown also serves on the Respiratory Care Committee of the Maryland Board of Physicians. Dr. Brown enjoys cycling, cooking, and spending time with his family. Linda is co-owner of Sleep Waves, Inc. and Director of Peninsula Sleep Waves, a 9 bed sleep lab at Peninsula Regional Medical Center (PRMC) in Salisbury, Maryland. 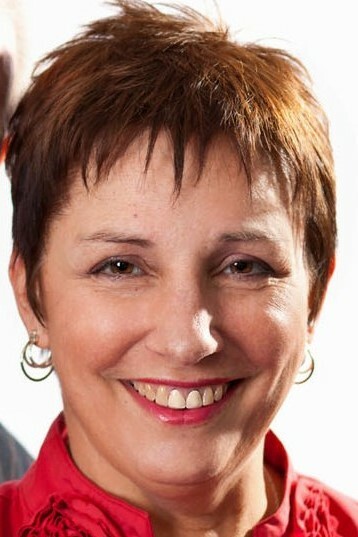 Linda started her career in sleep in 2004 with the goal of opening a free standing sleep lab. Sleep Waves opened a 4 bed sleep lab in Salisbury in January 2007 and contracted with a DME for in house CPAP setups. A second lab was opened in Dagsboro, DE in 2010. After 5 years of growth, Sleep Waves was awarded a contract to manage the sleep lab at PRMC. Over 2500 pediatric and adult sleep studies are now performed annually at PRMC, with all the sleep business under one roof. Linda co-authored a white paper which laid out strategies for optimizing Peninsula Sleep Waves’ impact on the health of the community, the profitability of PRMC’s DME partner, and to educate on the impact of sleep on health. This was in response to the Maryland All-Payer Model adopted by PRMC. Linda has developed Power Point presentations for a variety of audiences and has been invited to speak at department meetings, support groups and educational forums at PRMC. 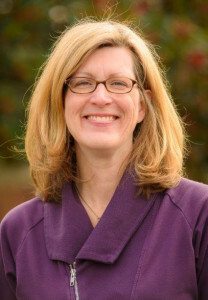 She is a regular guest lecturer at Salisbury University, WorWic Community College, local high schools and civic organizations, and has been invited to speak on local television programs. She is passionate about sleep and health and continues to seek out new opportunities to educate. Linda and her husband Chris live outside of Salisbury. They are enjoying son Josh as he finishes college and heads off to medical school. Linda loves to cook and is active in her church as a vestry and choir member. Dr. Emerson Wickwire is Assistant Professor of Psychiatry and Medicine at the University of Maryland School of Medicine, and Director of the Insomnia Program at the University of Maryland Midtown Medical Center. Dr. Wickwire completed his advanced training in sleep at Johns Hopkins School of Medicine, where he also served as Assistant Professor. He previously co-founded a leading interdisciplinary sleep medicine center that became a model for comprehensive sleep medicine centers throughout the country. He is a frequently sought after expert and has been featured in numerous local and national publications. 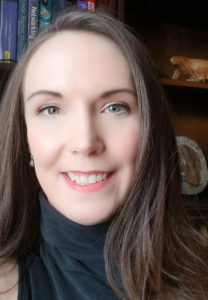 Dr. Wickwire has published over 40 peer-reviewed scientific articles, book chapters, and scientific abstracts, and 20 articles for the professional audience on topics such as telehealth and telemedicine, home sleep apnea testing, corporate sleep health, and patient communication skills. He serves on the editorial advisory board of Sleep Review and is Associate Editor of the Journal of Clinical Sleep Medicine. In 2017, he received the Stuart Quan Award for Editorial Excellence. Currently, Dr. Wickwire is PI on three funded “big data” studies examining the health and economic impact of sleep disorders and their treatments among Medicare beneficiaries, as well a pending study of insomnia among patients with Alzheimer’s Disease. Other current clinical research collaborations include sleep disturbances among patients with traumatic brain injury, circadian dysregulation in the ICU, and sleep quality among chronic methadone users. As leader of the sleep disorders working group, Dr. Wickwire is particularly interested in cross-disciplinary collaboration to create opportunities, advance understanding, and enhance the University of Maryland, Baltimore. Click here for more information on Dr. Wickwire, as well as his full academic portfolio. Dr. Aurora is an Associate Professor of Medicine at Johns Hopkins University, School of Medicine. She is currently involved in human-based NIH research examining metabolic outcomes in sleep-disordered breathing. Dr. Aurora has been committed and active in the American Academy of Sleep Medicine. She has served as Chair of both the Standards of Practice Committee and Adult OSA Quality Measures Workgroup. Additionally, Dr. Aurora has been a member of several guideline task forces, the Documents Review Committee, Future of Sleep Medicine Task Force (2010), and the National Healthy Sleep Awareness Project Surveillance and Epidemiology Workgroup. She has also served as a grant reviewer for the ASMF and is currently on the SLEEP and JCSM Editorial Boards. Dr. Aurora is currently serving on the Board of Directors for the American Academy of the Sleep Medicine. Dr. Buki has maintained a private practice in Sleep Medicine for over 20 years. She received her ScB in Psychology from Brown University, and her MD from Albert Einstein College of Medicine. Dr. Buki completed her Internal Medicine, Pulmonary, Critical Care and Sleep training at UMDNJ Robert Wood Johnson. She holds three board certifications in Sleep (ABSM, ABIM and NBPAS). Since 2010, Dr. Buki has been Medical Director of the FMH Center for Advanced Sleep Medicine, an AASM accredited facility in Frederick, MD. She has been an avid supporter of the Maryland Sleep Society since its inception and is delighted to serve the Maryland sleep community via this dynamic organization. Dr. Buki lives in downtown Frederick with her husband and two children, and in her spare time, enjoys dabbling with molten glass. Originally from Dominican Republic where she obtained her medical degree, Dr. Diaz did her internal medicine residency and fellowship training in pulmonary, critical care, and sleep medicine at Temple University Hospital in Philadelphia, PA. Upon completion, she joined the faculty at the University of Maryland School of Medicine in Baltimore, MD, where she is an Assistant Professor of Medicine. Dr. Diaz has a major interest in sleep education and became director of the sleep medicine fellowship training program at the University of Maryland, where she mentor sleep fellows during their fellowship year. Following her interest in sleep education, Dr. Diaz also organized and is course director of the Maryland Sleep Boot Camp, which provides since 2013 an annual two-day intensive core lecture series course attended by the sleep medicine fellows of the Baltimore/DC area programs, along with other local health professionals interested in the field. Dr. Diaz in interested in all aspects of sleep medicine. Of particular interest is the non invasive ventilatory management of sleep hypoventilation and chronic respiratory failure in general, and in neuromuscular patients in particular. As co-director of the Maryland ALS Center of Excellence she also studies and manages sleep disorders in this population of patients. Dr. Diaz’s hobbies include reading and personal finance. Emily Evans has been working in the field of sleep medicine since 2008. Her academic interest in sleep blossomed while serving as a lab assistant during her neurobiology courses at Shepherd University. Eager to know more, she pursued training as a polysomnographic technician, eventually earning her technologist credential. She conducted overnight polysomnography for many years before transitioning to providing clinical support to sleep physicians. This role enlightened her to the importance of sleep medicine for the community at large. When she isn’t working sleep, thinking about sleep, or actively sleeping herself, Emily enjoys reading, arts/crafts, and spending time with her family and friends. Agha W. Mirza is a senior staff member at the Johns Hopkins University School of Medicine, deputy lab director of AASM-accredited sleep disorders center at the Johns Hopkins Bayview Medical Center, and adjunct faculty member of a CAAHEP accredited polysomnography program at the Community College of Baltimore County. 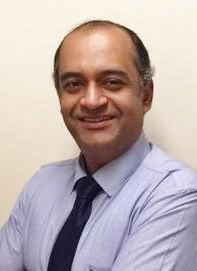 Agha is a Hopkins trained, board-certified polysomnographer (BRPT and ABSM), and in practice for over 16 years. He is responsible for the sleep laboratory operation and RPSGT staff coordination. He understands the clinical, research, and administrative operation of sleep medicine and has gained multi-year experience working closely with faculty and staff at the sleep center. He received his professional training at Hopkins, and has academic degrees in the field of medicine (MBBS) and health care administration (MS). 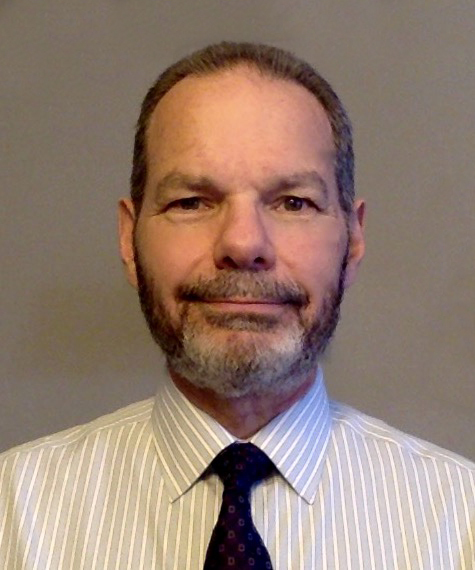 He is a competent, board-certified polysomnographic technologist, with a strong clinical knowledge and expertise in the practice of polysomnography, extensive experience in scoring and QA, management of regulatory affairs, and as an educator at Hopkins and CCBC. He enjoys the challenge to address complex issues and able to resolve matters quickly and effectively. The joy of his life is his family. Dr. Naik completed her residency training and pulmonary fellowship at Drexel University Hospital. She did specialty training in sleep medicine at Thomas Jefferson University Hospital. She is board certified in Internal Medicine, Pulmonary Medicine, and is a Diplomate of the American Board of Sleep Medicine. She has been in private practice for over 15 years with Pulmonary and Critical Care Associates of Baltimore. 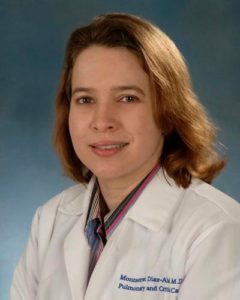 She serves as the medical director of Upper Chesapeake Sleep Disorders Center and Northern Maryland Sleep Disorders Center, both accredited AASM facilities. In addition, she works at University of Maryland-Upper Chesapeake Hospital and is part of the resident clinical teaching faculty at Medstar Franklin Square Hospital. Special interests in sleep medicine include incorporating good sleep protocols into the hospital setting, and sleep disorders related to cardiovascular diseases. 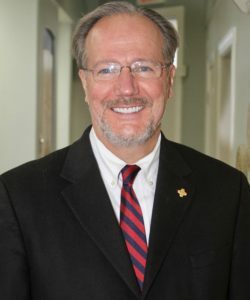 Dennis Stiles earned a Bachelor of Arts Degree from American International College in Springfield, Massachusetts and his dental degree from Georgetown University School of Dentistry in 1986. He has been in private practice in Gaithersburg, Maryland, a suburb of Washington, DC, with his wife, Dr. Marie Tigani Stiles for 32 years. Dennis is a part time faculty member at the University of Maryland School of Dentistry, where since 2008 he has served as a clinical instructor in the Advanced Education in General Dentistry department. In 2006 he served as president of the American Prosthodontic Society and is currently serving as President of the American Prosthodontic Society Foundation. 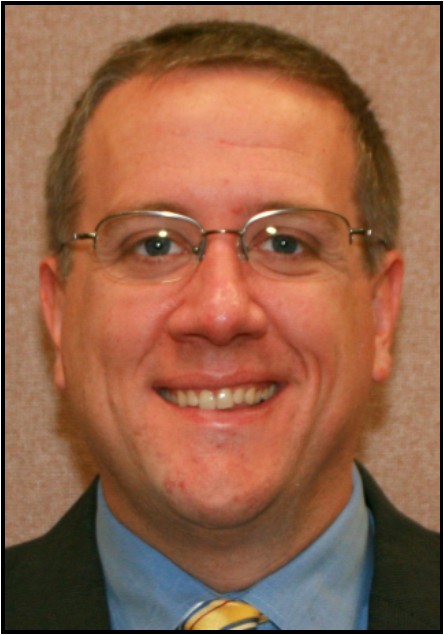 He was elected to serve as a Board member on the LD Pankey Board in December of 2016. Dennis is a fellow in the American College of Dentists, the International College of Dentists, and the Academy of General Dentistry, and is a member of American Dental Association, the American Prosthodontic Society, and the American Association of Dental Sleep Medicine. He received Diplomat status this year in the American Board of Dental Sleep medicine. As a volunteer in his community and church, Dennis has held various leadership roles for groups including Rotary International, the Kentlands Community Foundation, the Catholic School Board for the Archdiocese of Washington. Dennis and his wife Marie have three grown children, one of who graduated from Maryland School of Dentistry in 2015 and is currently a second year oral surgery resident at the Jackson Memorial Hospital system in Miami. Dennis’ hobbies include photography, skiing, swimming, yoga and taking long walks with his dog Samson.